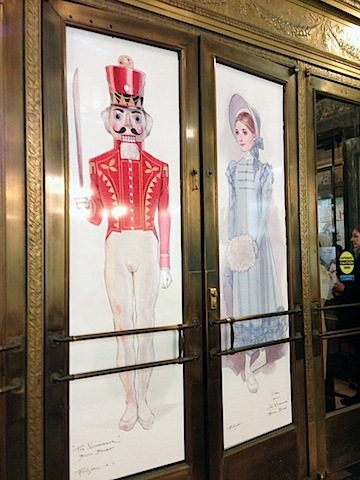 When was the last time you saw the Nutcracker? For me, I’d say it has probably been about 16 years. But that’s after seeing it for about 8 years in a row growing up. My uncle works closely with the Boston Ballet as their orthopedic surgeon and he and my aunt took us every single year and it was an event I looked forward to all year long (trust me, I donned my best holiday dress, tights, and patent leather shoes for the occasion). I still think about the Nutcracker every holiday season, but have never bought tickets for some reason. I think I just figured I’d seen it so much already; why did I need to go back? But when I got an email from a publicist for the ballet offering tickets to this year’s show, I instantly got nostalgic and knew it would be the perfect way to kick off my holiday season. I hadn’t seen the production as an adult and it was definitely time to go back! In fact, I hadn’t seen the Nutcracker since it moved from the Wang Center to the Opera House, but this year was the perfect time to do so. For the first time ever, Mikko Nissinen re-imagined the Boston Ballet’s Nutcracker, with brand new sets, costumes, characters, and choreography. I hadn’t seen the production in so long that it was all going to feel pretty new to me anyway, but I was still super excited to see a brand new performance. I will always have a special place in my heart for the Wang Center, but the Opera House is also absolutely beautiful. Especially in all its holiday splendor. I sometimes forget places like this exist in Boston until I have opportunities like this. Do you think they’d let me move in? We had awesome orchestra seats with the perfect view of the stage… Though I’m pretty sure there aren’t any bad seats at the Opera House. And then the show began! And we put our cameras away (after being reprimanded once… Oops! I can’t even imagine how much an usher’s job has changed since the popularity of camera phones!) and settled in for the production. I was seriously mesmerized by the new costumes, especially of the Sugar Plum Fairy and Snow Queen. It would be an understatement to call them sparkly. They were absolutely stunning and these photos most definitely don’t do them justice. So… I guess you’ll just have to go see for yourself! The stage lights hit their costumes just right for an endless amount of sparkle. It it was socially appropriate, I probably would have found a way to purchase this dress and wear it every day of my life. Huge props to Robert Perdziol for designing the costumes (and the set!). The production was very different than I remembered it; both because I hadn’t seen it in so long and because it was updated. But I still had the same feeling while watching; a kind of magical, Christmas-y joy. This was exactly what I needed to get fully into the holiday spirit! I attended the Thursday evening show and the crowd was a really nice mix of both children and adults. The Nutcracker truly is a show for everyone. 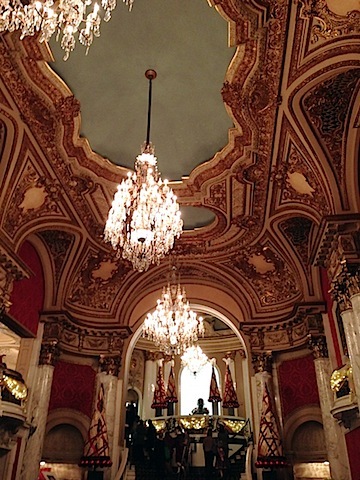 The Boston Ballet’s Nutcracker will be at the Opera House until December 30, so you still have time to get tickets (they’re offering 10% off if you purchase tickets by tomorrow)! If you need a little push toward getting in the holiday mood or you just want to take full advantage of the season and all it offers, this is the perfect way to do so. And if you’ve seen it a million times already and don’t think you need to catch it again, I promise that this is the year to make your return! Have you seen the Nutcracker before? How long has it been? 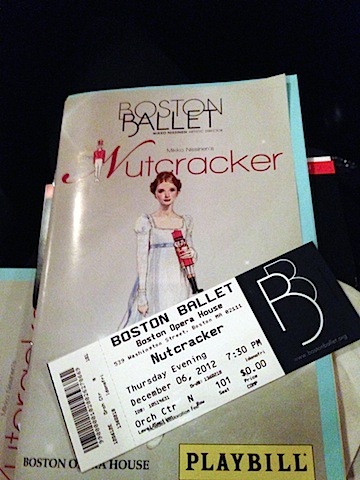 Disclosure: Tickets to the Boston Ballet’s Nutcracker were given to me, but all opinions are most definitely my own! 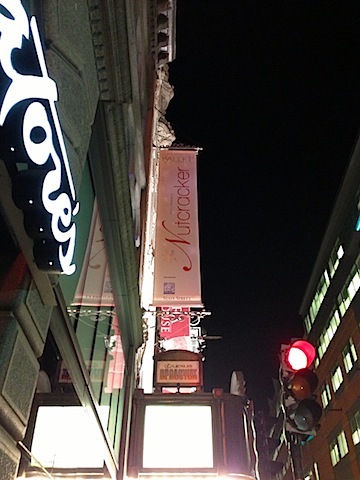 11 Responses to "A Night at Boston Ballet’s Nutcracker"
I haven’t seen this show since 4th grade! Soooo…18 years ago. Yikes. I need to see if it’s being performed in DC anywhere! So fun!! I’ve never seen the Nutcracker, but I am going to see the Slutcracker in Somerville on Thursday. Should be interesting lol…. I haven’t been in many many years but this is making me all kinds of nostalgic. I didn’t even know it was possible to change the choreography of the Nutcracker! What a festive way to enjoy the season! What a wonderful time! 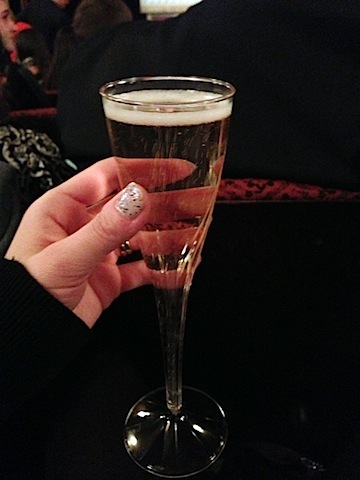 It has been over 25 years since I saw The Nutcracker.. my Godmother took me every year age 6 until end of high school! The first years, my mother helped me pick out that special dress and took me to the salon. My Godmother picked me up for the matinee show. I have wonderful holiday memories – looks like you had a great time! wasn’t this show excellent?! I went on Sunday!! Loved seeing all the little kids dressed up! So much love for this!!! Looks like a great night out! I’ve seen the Nutcracker every single year since I was 10. I adore it so so much and get so teary every time I watch it, I LOVE IT. And I’ll be seeing it on the 23rd and cannot wait.